Tonight, we hosted our first Super Bowl Party in Florida. Tom, Tina, and another one of Huck’s coworkers, Lynn joined us to watch the game. We ate a late lunch, and decided to just make a few snacks to eat during the game. 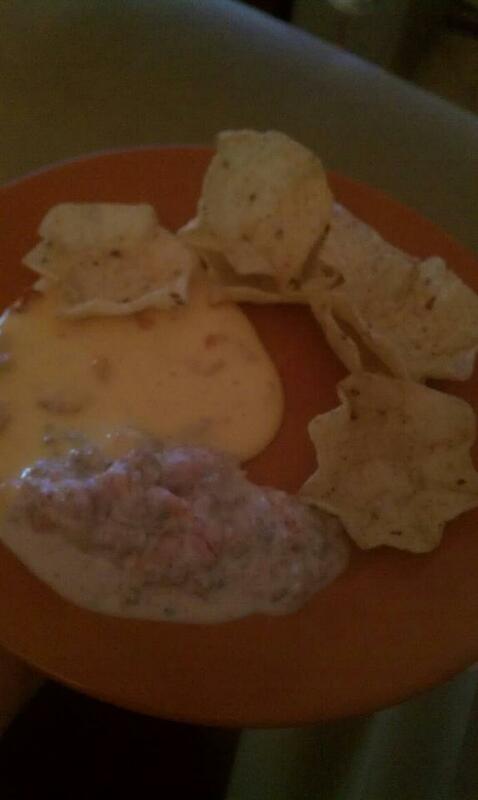 Lynn brought over a Spicy Cheese Dip. Tina made a dip with ground sausage, cream cheese, and Ro Tel. It was good. 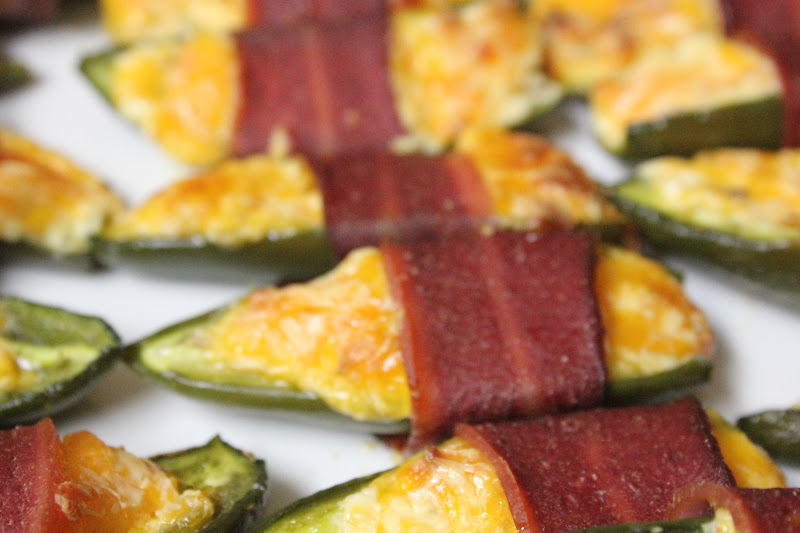 I made Jalapeno Poppers and Meatballs with BBQ sauce. For the meatballs, I used the same technique I used for my Meatloaf. And I made my own Beerbecue Sauce. 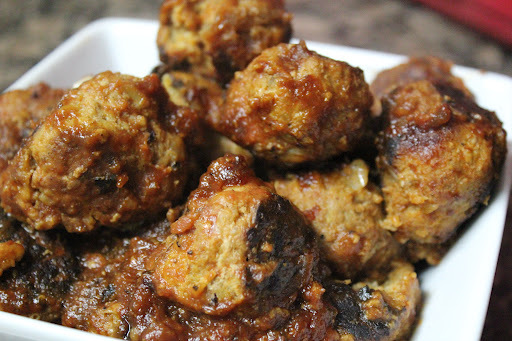 I formed the meat into golf ball sized portions, browned them in a pan on all sides and placed them in my slow cooker with the beerbecue sauce on low. 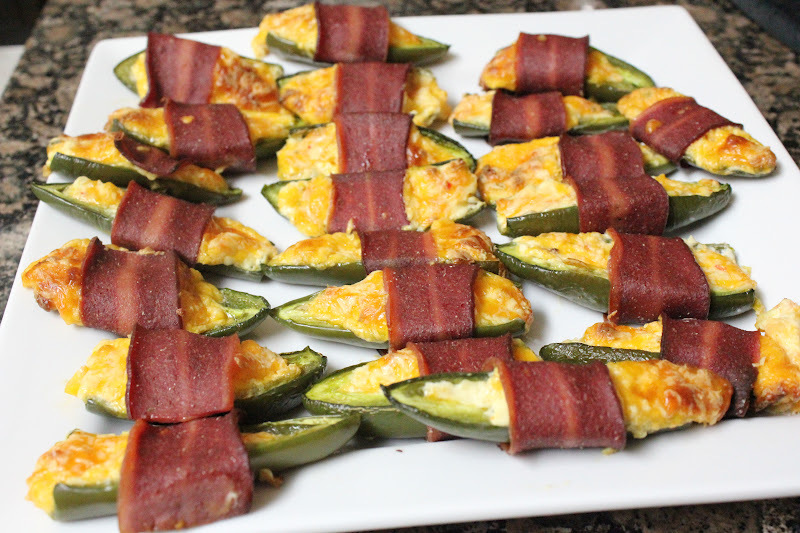 Wrap in bacon and place on a foil lined cookie sheet.